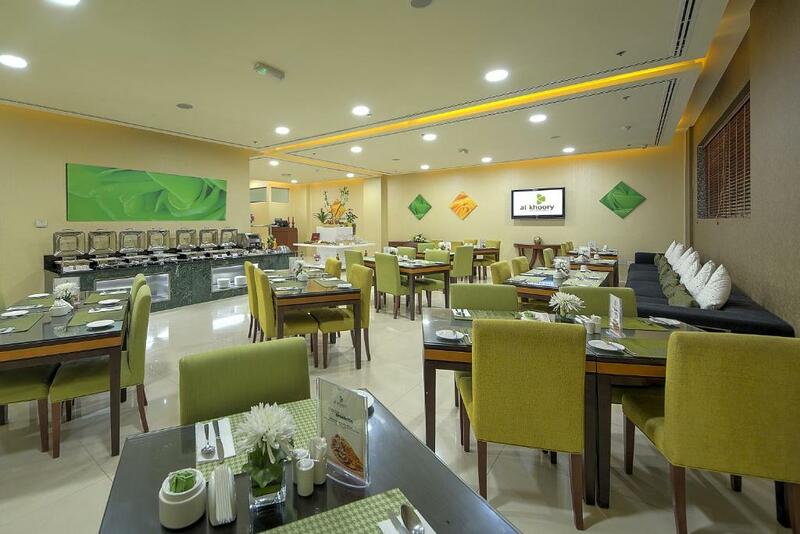 Have been staying at this place for the last 5 years, there is no match in terms of the comfort of location, access to food, grocery, various supermarkets and pharmacies nearby and most of all super close to Mall of the Emirates. It depends on what one prefers but we prefer still the flexibility of having balconies, this is one of the only places left with one as most are going into a small hotel room concept. That works for us and we are willing to let go of some of the areas of improvement required. Been back for the second time. spacious rooms, lovely & helpful staff. Excellent location. Check in and out easy and fast Front desk staff friendly and helpful Location : near a metro station and taxis were abundant any time. It is so spacious to make you feel at home. Adjacent to the Mosque for praying. Clean service , staff , location , a huge apartment , bancony , GYM, Sauna . The management and/or staffs are very accommodating. Superb! Everything, the staff were outstanding especially Amaad who made my stay remarkable when i needed him he was more than happy and welcome to help. Nice big spacious rooms with a nice view. Excellent location. Well maintained property. Lock in a great price for Al Khoory Hotel Apartments Al Barsha – rated 8.3 by recent guests! One of our top picks in Dubai.Al Khoory Hotel Apartments Al Barsha (Formerly knows as Coral Al Khoory Hotel Apartments) is positioned in Al Barsha district - Dubai, close to Ski Dubai. Its large, well-equipped serviced suites offer comfort and style. Each of the suites at Al Khoory Hotel Apartments Al Barsha features a designer bathroom and modern kitchen facilities. Guests can relax in the hotel’s outdoor swimming pool or make use of the gym facilities and sauna. 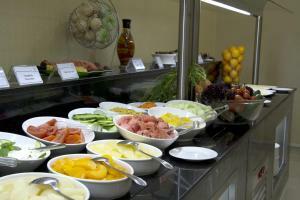 Guests can also enjoy a tasty snack or beverage in the hotel’s restaurant. 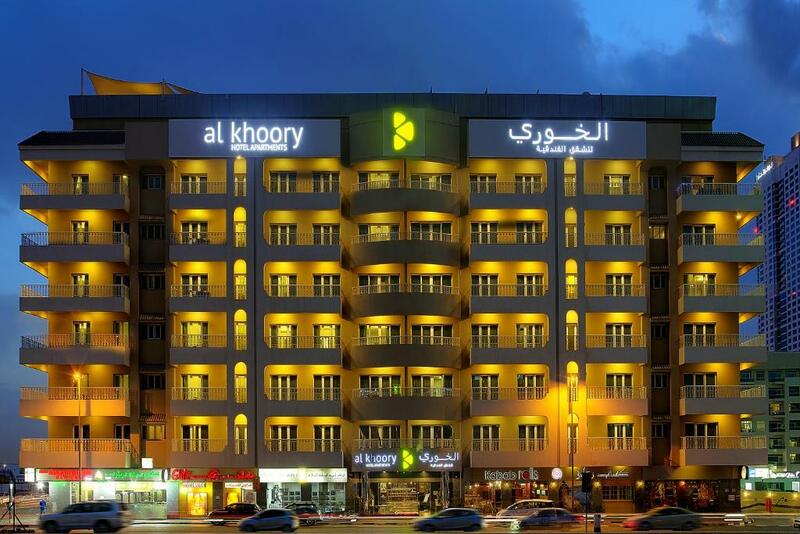 Al Khoory Hotel Apartments Al Barsha is just a 10-minute walk away from the famous Mall of the Emirates. A short drive away you will find Internet City, Media City and Knowledge Village. When would you like to stay at Al Khoory Hotel Apartments Al Barsha? This spacious air-conditioned room has a kitchenette and a flat-screen TV. The One-Bedroom Apartment offers a living room with seating area and flat screen satellite TV. The kitchen is fully equipped. The bedroom offers a king size bed. The bathroom has a shower/bath tub. Guests can enjoy free WiFi access in the apartment. Featuring a balcony, the Two-Bedroom Apartment offers a living room with seating area and flat screen satellite TV. The kitchen is fully equipped. The master bedroom offers a king size bed and the guestroom has two twin beds. The 2 bathrooms has a shower/bath tub. Guests can enjoy free WiFi access in the apartment. Featuring a balcony, the Three-Bedroom Apartment offers a large living room with seating area and flat screen satellite TV. The kitchen is fully equipped. The master bedroom offers a king size bed and the 2 guestrooms has two twin beds. The 2 bathrooms has a shower/bath tub. Guests can enjoy free WiFi access in the apartment. 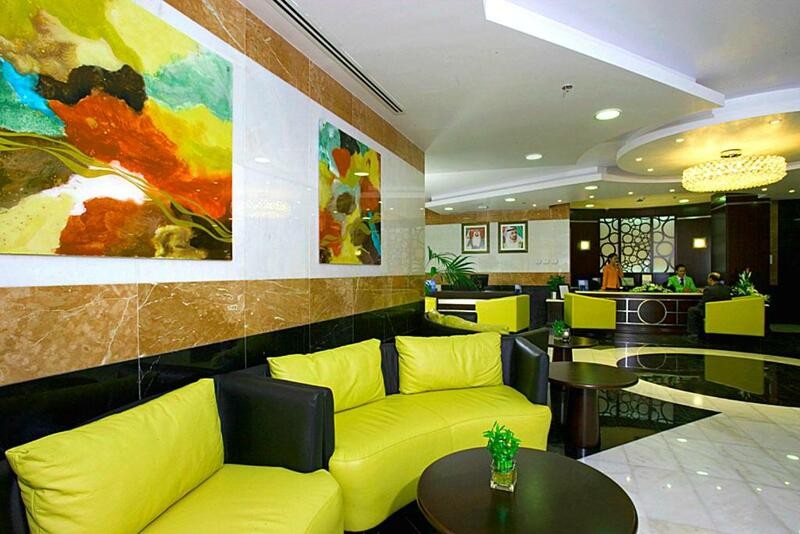 Al Khoory Hotel Apartments boasts an unbeatable location in the hub of new Dubai. It features a comprehensive range of distinctive facilities and services. It is the perfect accommodation for short & long stay. The Hotel Apartments feature 144 stylish and Elegant Deluxe hotel apartments. Spacious and well-appointed, all apartments have beautiful furnishings and equipped with the latest amenities and comforts. Our Hotel Apartment is also built in prime locations that grant immediate access to a myriad of business and financial institutions and are also close to renowned entertainment spots, shopping malls, international restaurants and other destinations unique to Dubai. Al Khoory Hotel Apartments is a calm haven set in the heart of the delightful City located in Al Barsha 1. Just a stroll away from the Iconic Mall of The Emirates & Ski Dubai and along Sheikh Zayed Road, the Hotel Apartments are centrally located putting must-see sights within easy reach. The multi-level shopping center currently features more than 560 international brands, more than 700 stores, 11 anchor stores including department stores, fashion, lifestyle, sports, electronics and home furnishing outlets. It is also the home to Ski Dubai the Middle East’s first indoor ski resort and snow park, DUCTAC- the 500-seat capacity Dubai Community Theatre and Arts Centre and more than 90 international dining and cafes. House Rules Al Khoory Hotel Apartments Al Barsha takes special requests – add in the next step! 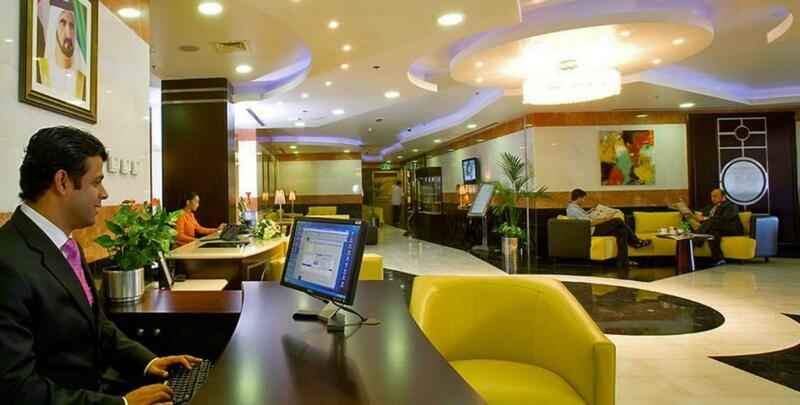 Al Khoory Hotel Apartments Al Barsha accepts these cards and reserves the right to temporarily hold an amount prior to arrival. Upon check-in all guests are kindly requested pay a deposit for any incidentals. This deposit is refundable upon departure. Guests are required to present the credit card used to make the reservation. If the credit card's owner is not the person staying at the hotel, the payment cannot be completed and a valid credit card from the residing guest will be required upon arrival to cover the entire stay. 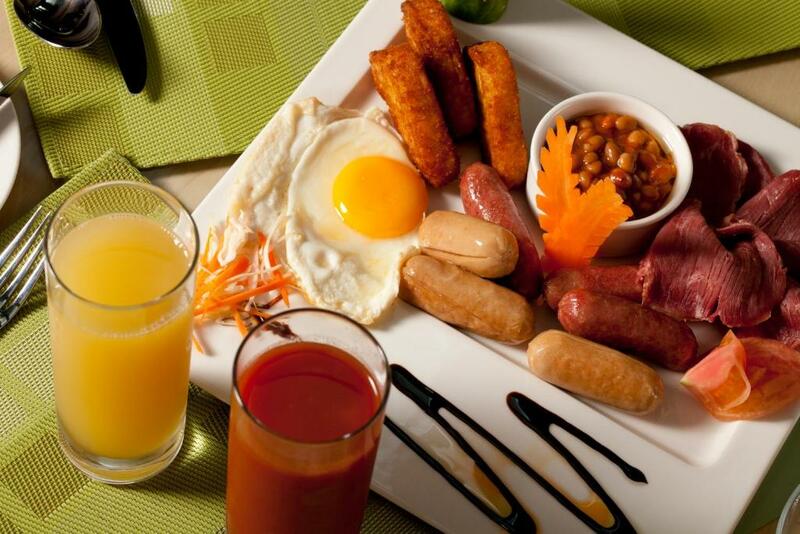 The hotel accommodates families and married couples. Bachelors are also welcome but due to security reasons they cannot have any visitors in their rooms. Visitors can visit guests only in the lobby or the coffee shop. Al Khoory Hotel Apartments is a smoke free hotel and hence it is strictly prohibited to smoke in the hotel premises. All guests shall mandatorily comply with the no smoking regulation and violators shall be penalized as per the relevant provisions of UAE Law. Please note that all guests are required to show original passport or Emirates ID for Identification upon check-in. Breakfast good but with more variety would be better. Excellent location near Sharad DG station, very helpful and friendly staff, good efficient service from all staff, good facilities in apartment, clean rooms and excellent cleaning service. NOT ENOUGH STAFF TO HELP WHEN WE NEED THEM. FOR EXAMPLE, ONE BILL BOY FOR THE WHOLE HOTEL. ALSO, NO VALET PARKING. ALSO, I WAS INTERESTED TO EXTEND MY STAY FOR ONE MORE NUGHT, AND I DIDN'R RECEIVE ANY RESPONSE UNTIL I TALKED DIRECTLY TO THE FRONT DESK APPROXIMATELLY AT NOON. GENERALLY, SERVICES ARE VERY POOR. APARTMENT WAS BIG AND COMFORT. FOOD WAS GOOD. All night long there was the sound of a door banging downstairs. We couldn't sleep although we complained the noise continued. Quick check in and affordable. nice decoration on rooms & common area. The room was not cooling at all! I would suggest if you provide room slippers. Hairdryer was only available in one bathroom so its better to have seperate in each. Our apartment was very drab and dark with no natural light. I would go as far as to say the sitting room was quite depressing, the decor was very dark, dreary and outdated. The apartment overlooked a building site and although, there was a balcony there was no patio furniture even if you wanted to sit out for some air. 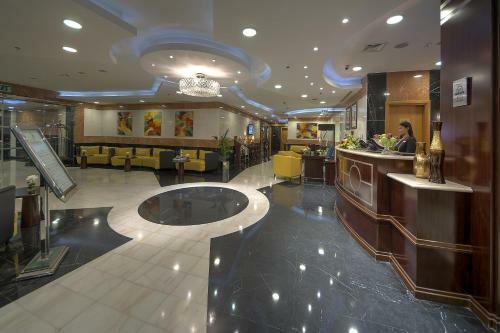 We certainly did not feel we were in Dubai and having previously stayed in Al Khoory Atrium, we thought this would be of similar standard however, we were very disappointed and would not return. The staff were very nice. Every day the apartment was cleaned, the bed linen was changed and fresh towels were given. Cleanliness needs improvement. We have seen a lot better in earlier years we have been coming. Bed sheets should be spotless. Had an issue of small insects flying around like fruit flies but the hotel sprayed & it reduced to quite a bit, also needs attention. Maintenance is required and needs improvement. Those are the only areas of improvement since I have seen better.